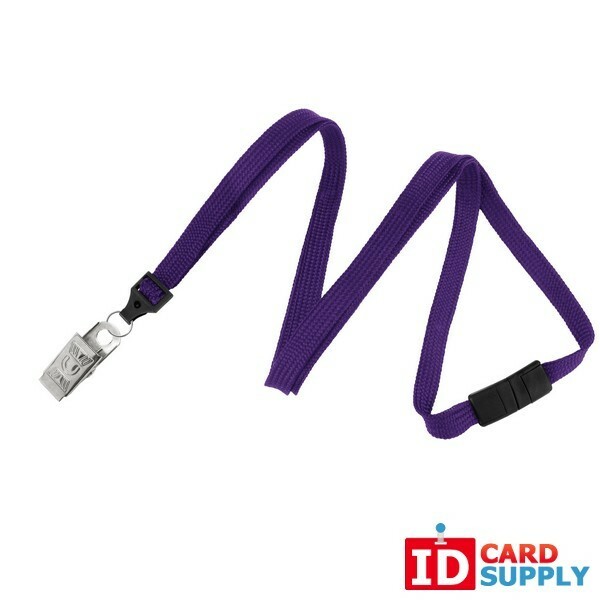 100 Affordable Purple Lanyards with Bulldog Clip Ending from IDCardSupply! This lot of 100 lanyards brought to you from IDCardSupply.com is as durable as it gets! Their flat strap is woven from nylon making them very lightweight yet durable. This specific model comes with a purple strap and is equipped with a nickle-plated bulldog clip end fitting that can grasp onto any ID for as long as you need. Brought to you at an always competitive price from IDCardSupply, get yours while supplies last. Various end fittings and colors are available if this lanyard is not exactly what you are looking for.